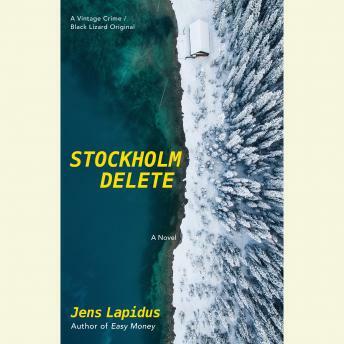 A lawyer, an ex-con, and his nephew team up to solve a grisly murder in this explosive crime novel by internationally bestselling Swedish author Jens Lapidus. When a house alarm goes off in Värmdö, an island in Stockholm’s archipelago, a security guard shows up expecting a break-in. But what he finds is far from ordinary: an unidentifiable body, brutally slaughtered. Complicating matters is the wounded young man he finds near the crime scene—a man who police will count as their prime suspect. Emelie Jansson, a newly-minted lawyer at a top firm, takes on the young man’s case. By her side is Teddy, an ex-con trying to stay on the right side of the law as he works as the firm’s fixer. But Teddy has his own problems to worry about—namely his wayward nephew, who’s on the verge of following in his uncle’s criminal footsteps. Who is the murder victim, and who is the murderer? And why do all roads seem to lead to Mats Emanuelsson, a man Teddy once kidnapped? As Emilie investigates, Teddy must confront his past and save his nephew from a troubled fate. Soon, all three get caught in a high-stakes game that threatens to undo their lives.